This year is significant in South African history as it is the centenary year of the country's greatest leader, Nelson Mandela. One of the ways in which you can honour Madiba’s legacy, while supporting a good cause, is to purchase a locally made Nelson Mandela Centenary t-shirt which has been launched by the Nelson Mandela Foundation. According to the Foundation, buying the t-shirt will help support the perpetuation of Madiba’s legacy through the Foundation. The t-shirts are on sale at Edgars, Woolworths and at the Nelson Mandela Foundation offices at R150 each. Email nmf@nelsonmandela.org for more information. Share your Madiba centenary celebrations with us by emailing info@traveller24.com or tagging us on Twitter, Facebook or Instagram - @Traveller24_SA. If you find yourself in Madiba's birth province of the Eastern Cape, you're fortunate to be able to tap into the Nelson Mandela Centenary Tourism Programme in Mthatha, which includes the initiative called ‘Release Mandela Historic Memories’. As part of the national celebrations there's also a special App that can be downloaded that encourages all to visit Madiba tourist spots in SA, as well as a number of tourism activities that will take place across the country. 'Release Mandela Historic Memories' was launched to commemorate the 28th anniversary of the release of the former SA president and his fellow Revonia Trial political prisoners from custody on 11 February 1990. Former Tourism Minister Tokozile Xasa says "the launch of Historic Memories is part of the conversations that we are opening so that our communities share experiences. We want to take those experiences to our young children in schools and to youth, because Mandela is an inspiration to youth." Visit Madiba-inspired tourist attractions across South Africa with an App developed to help you locate and explore places that shaped Nelson Mandela’s journey. Simply find each location on your phone’s mapping system, follow directions to the site and be inspired. The App provides information on everything you need to know about the sites' operating hours, tours, ticket prices and contact information. It also allows you to create a customised itinerary before embarking on your ventures and also boasts an audio function to immerse yourself in narratives about these sites and their place in South Africa’s history. Users can also check out the photo galleries, check-in at locations, share their experiences and earn rewards as they visit more locations. The App developed by SAT aims to encourage tourists to have an "experiential interaction with the sites" that have a connection with Madiba. Xasa says that these places will range from the well-known Capture Site to the less popular and unknown experiences such as Mandela's favourite restaurant and coffee shop. “But all will encourage travel and build towards the 5-in 5 strategy,” says Xasa referring to NDT’s plans to bring in 5 million visitors in 5 years. She says the App and the experiences it offers will “encourage some healthy competition between the provinces, not only for the range of offerings, but for the response from both international and local visitors”. 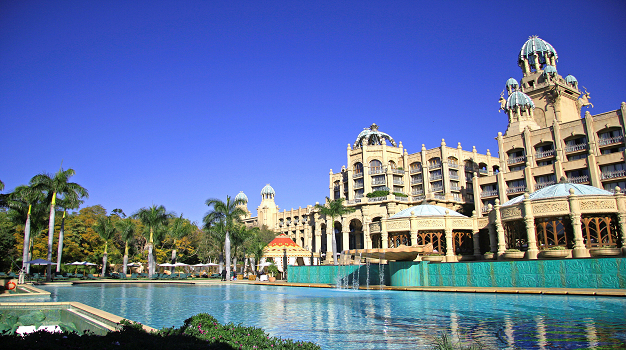 SAT will launch a tourism initiative called “What’s your 100 Madiba experiences?”. 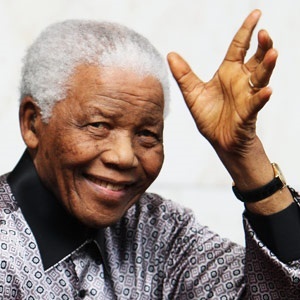 “This initiative will promote travel and tourism through Mandela’s Legacy - 100 sites across the country and in all 9 provinces that relate or connect to Nelson Mandela’s legacy will be identified. These will become “must visit” sites during the course of 2018 both for domestic and international visitors,” explains Xasa. “We need to remind South Africans that we have the democratic right to explore our country, its history and its wonders, as experienced by Mandela,” says Xasa, adding that this campaign will support the existing campaign by the Nelson Mandela Foundation called #BeTheLegacy. Here are some of the projects NDT has outlined across the country, as well as additional events in celebration of Madiba, that are set to enhance experiences at these World and National Heritage sites. KZN Province is presently working with COGTA and Umgeni Local Municipality to invest “R57million in an Interpretation and Multipurpose Centre at the site” says Xasa. The Department will in turn, partner with the institutions and contribute R12million to complete the Centre. The South African National Biodiversity Institute (SANBI) invites people to the KZN National Botanical Garden, in Pietermaritzburg, for its open day on 14 July in celebration of Mandela Day. Entrance into the garden will be free for the day, however, SANBI requests a donation of sanitary pads or toiletries in lieu of entrance fees which will be donated on Mandela Day to organisations that assist schoolgirls who desperately need these products. DJ Fresh, Shekhina, Tbo Touch, DJ Ganyoni and Khuzani will entertain the crowd at this family-friendly event in celebration of Nelson Mandela. With the theme centred on nation and unity, the event aims to send messages about Madiba’s legacy. It is set to take place on 28-29 July at Umhlathuze Sports Ground, Richards Bay. Tickets range from R100 - R500. Click here to book. NDT has committed R10million towards destination enhancement. “The project involves digitisation of heritage archive of Robben Island, links to the creative industry through partnership with local artists and crafters and conversion of buildings for alternative usage,” says Xasa. V&A Waterfront has sites that honour Madiba and other struggle heroes and remind us of their legacy. A lesser-known historical gem at the V&A Waterfront is Robben Island Jetty One Museum which marks the departure point for Robben Island tours. Jetty One Museum, a national monument that’s separate from the Robben Island Exhibition and Information Centre, used to be a departure and arrival point for prisoners, wardens or Robben Island prison staff. Learn more about the history of Robben Island at this museum that used to be a prison. Also visit the Nelson Mandela Gateway to Robben Island which is a glass museum with exhibition areas, an auditorium and a museum shop. It links the V&A Waterfront and Robben Island Museum with a passenger ferry terminal. A tribute to Madiba takes place at Cape Town’s Artscape Opera House on 17 and 18 July at 19:30. The award-winning production will take the audience into his unknown early life, through the days in Sophiatown and his life on Robben Island. Promising to be an epic tribute, it made its European premier at the Wales Millennium Centre in 2012, and has since been performed in Dubai, Hong Kong, Germany, Italy and the United Kingdom. Click here for tickets. Former US president Barack Obama will deliver the 16th Nelson Mandela Annual Lecture at the Ellis Park Arena in Johannesburg on 17 July 2018 - a day before Nelson Mandela International Day. The lecture's theme will be "Renewing the Mandela Legacy and Promoting Active Citizenship in a Changing World", and will also honour the centennial of Madiba's birth. "The Nelson Mandela Annual Lecture will focus on creating conditions for bridging divides, working across ideological lines, and resisting oppression and inequality," says a joint statement by the Nelson Mandela Foundation and the Obama Foundation. Seven local comics will come together for the Nelson Mandela Centenary 2018: A Night to Remember Comedy Show, set to take place on 24 August at the Teatro at Montecasino. Produced by Real Concerts on behalf of the Nelson Mandela Foundation, the line-up of comedians includes Barry Hilton, Chris Forrest, David Kau, Marc Lottering, Nik Rabinowitz, Riaad Moosa and Tumi Morake. The MC for the evening will be Whackhead Simpson. Tickets start at R250 and are available from Computicket. SA’s Constitution turns 21 this year, and NDT will create “the People’s Park” at Constitution Hill Precinct which will include the construction of an open park space, children’s playground, high street retail amenities, construction of pedestrian routes, public open spaces connecting the surrounding community to the constitutional court, as well as the creation of wheelchair friendly bridges and pathways, sensory paths for blind visitors and upgrades to the lifts which provide universal access. “The department will contribute R14million towards this project,” says Xasa. Xasa says that this is a new project for NDT’s consideration among the list of planned Mandela Centenary projects. “The project involves an interactive, experiential exhibition which will allow all visitors to access the political history and heritage of the liberation struggle that led to the ultimate end of Apartheid. This exhibition raises awareness of human rights, access for all and transformation. As a living heritage exhibition, it allows all visitors to contemplate the legacy of Madiba and ordinary South Africans who opposed the injustices of the past,” says Xasa. The exhibition will be launched in 2018 and will run for two years at Moropeng in the Cradle of Humankind World Heritage Site. Xasa says that NDT has been requested to partner with Maropeng on this project with a contribution of R15million. With Eastern Cape being the birth province of the Madiba, a number of events will take place in the coastal province. Xasa announced that the NDT's programmes aligned to the centenary celebration include hosting the annual World Tourism Day Celebrations by the Eastern Cape provincial government on 27 September 2018. “The Cradock 4 Garden of Remembrance (Phase 2) is a R28million EPWP construction project implemented in memory of the Cradock 4 anti-apartheid activists,” says Xasa, adding that the NDT has completed this project and will hand it over to the local municipality that will run the facility until a suitable operator is identified to manage it. NDT’s Coastal and Marine Tourism (CTM) Implementation Plan seeks to grow a world class sustainable coastal and marine tourism destination “that leverages South Africa’s competitive advantage in nature, culture and heritage”, says Xasa. Three initiatives that form part of this plan are Blue Flag Beaches programme, boat-based whale watching and shark cage diving, as well as off-road vehicle 4x4 beach driving. “These projects will be taken forward in the first phase implementation plan,” says Xasa, adding that six nodes have been identified for the first phase (0-5 years), with 2 of these located in the Eastern Cape at Port St Johns to Coffee Bay, and East London, Port Elizabeth and surrounds. The 2018 launch of the Eastern Cape 6-day Hiking Trail from Port St Johns to Coffee Bay is also proposed as a Mandela Centenary Project. The R9million project is located in the Port St John Local Municipality, and will provide ablution facilities and huts for overnight accommodation. “The partnership with CATHSSETA towards the Eastern Cape Development Projects, at the King Sabata Dalindyebo is a project in support of government’s initiative to revitalise Coffee Bay into a fully-fledged economic hub utilising tourism as a catalyst for economic development, aimed at revamping the Coffee Bay hotel,” says Xasa. The aim is to bring state-of-the-art infrastructure to meet world-class standards, for an industrial kitchen that will be used to train the chefs and to implement other hospitality related programmes.